was actually a video genie! Real portable computers are still a bit in the future. The list gets a bit more portable later on. 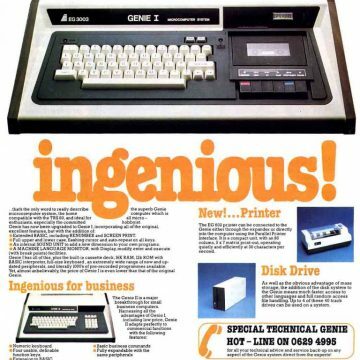 I learned to program in BASIC and Z-80 machine code on my Video Genie. Along with Michael Taylor, I wrote a couple of games. 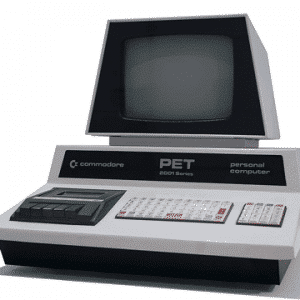 I remember going to Terminal Software in Manchester for their Christmas party at about 16 years old. I hope you enjoy this personally biased history of computing. 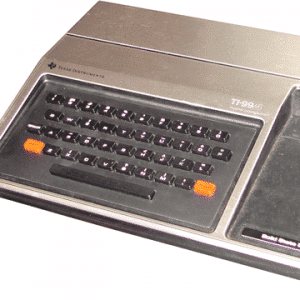 IBM 5110 was released in 1978 to replace the 5100. Mork & Mindy premiered on ABC. Jimmy Carter signs bill to allow home-brew beer. 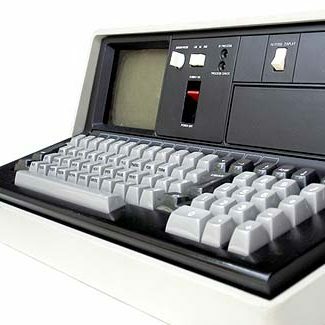 The IBM 5110 Model 1 is a computer designed for direct use by the user for solving problems. 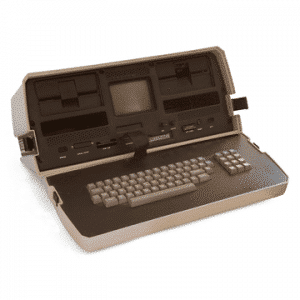 The 5110 Model 1 has a display screen, a combined alphameric and numeric keyboard, a tape unit, switches, and indicator lights. The 5110 Model 2 is identical to Model 1 except that it has no built-in tape unit. The display screen and indicator lights communicate information to the user, and the keyboard and switches allow the user to control the operations the system will perform. 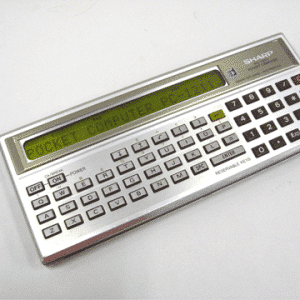 The display screen can display 16 lines of data at a time, with up to 64 characters in each line. Input data (information supplied by the user) as well as output data (processed information) is displayed. 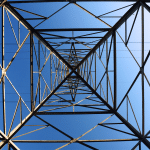 The bottom line contains status information. 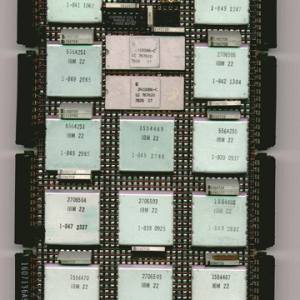 The number in the lower right (NNNNN) indicates the number of character positions (bytes) in storage available to the user. 1977 was a bumper year. 1978 less so! 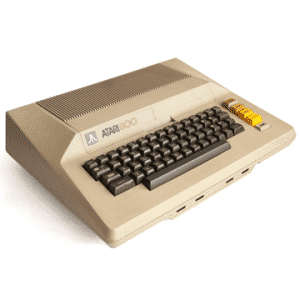 In December of 1978, Atari introduced the 400 and 800 series computers. Deliveries did not start until late 1979 due to production problems. 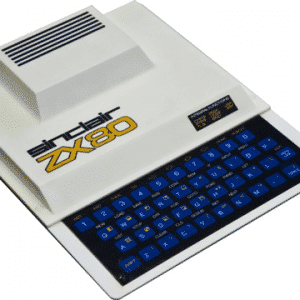 The first computer available in the UK for less than 100 pounds was the ZX-80. It was also available in kit form. 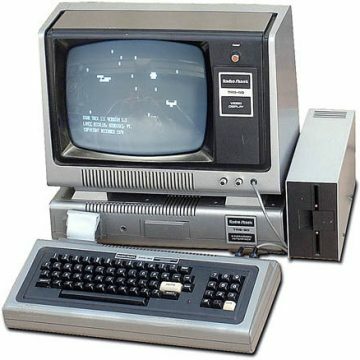 The Sharp PC-1211 was also sold as the TRS-80 pocket computer. 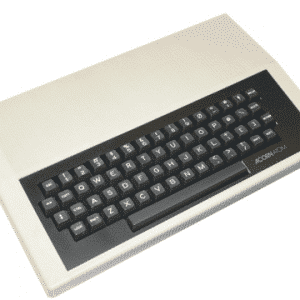 The VIC–20 is also the first computer ever to sell over 1 million units, just a few months ahead of the Apple II. I was responsible for the sale of about 10 of them when I worked at Woolworths in Bishops Stortford. 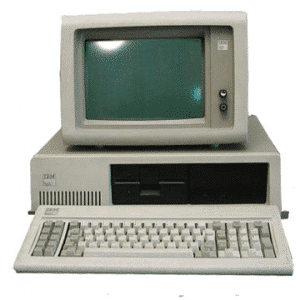 IBM introduced the IBM PC – its first Personal Computer in the history of computing – in 1981. The computer was code named Acorn. 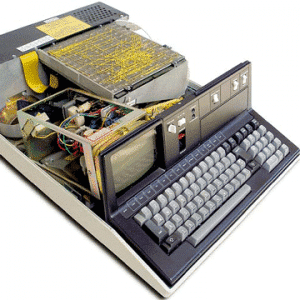 The IBM PC had a 8088 processor, 16 KB of memory, which was expandable to 256 KB and utilized MS-DOS. 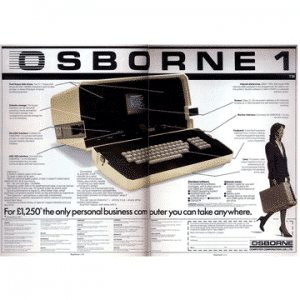 The Osborne 1 is one of the first truly portable computers – although the display was laughably small. 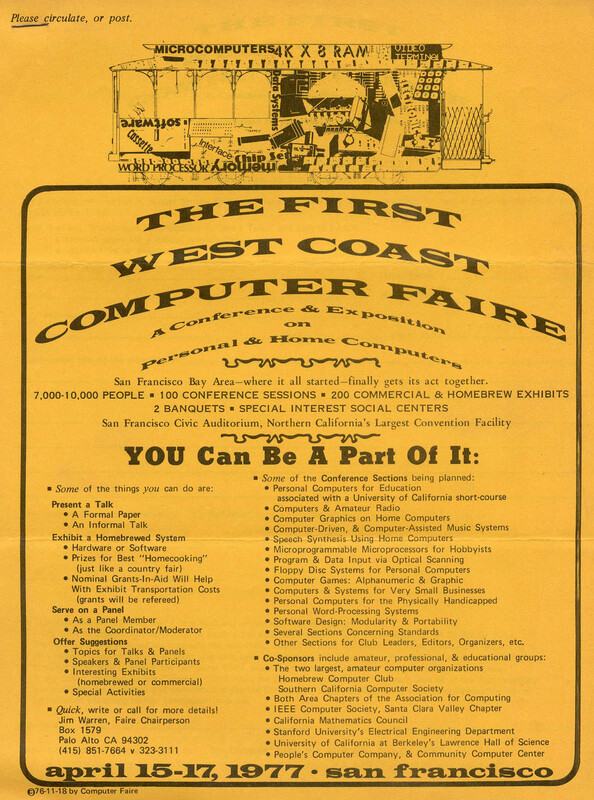 It was advertised heavily in the computer press at the time and cost $1,795. 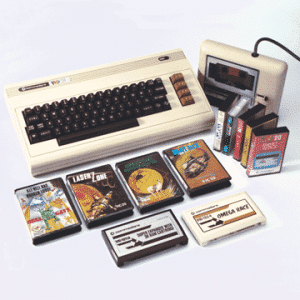 In the first eight months after April 1981, the company sold 11,000 units. Sales at their peak reached 10,000 units per month.